We were very lucky and thankful to sit down with legendary E Street Band member Nils Lofgren last Thursday, to talk about his upcoming box set Face the Music which comes out on August 5th. You can order your box set on nilslofgren.com and get a free 2" pin that was thought of by Nils' wife, Amy. I would also like to thank Evan who helped me out with this interview who asked a couple of questions. We had a lot of fan submitted questions but unfortunately only had time to ask a couple of them. Thank you all very much for your submissions. I'd also like to thank Cary Baker who was very helpful leading up to the interview process and of course the great Nils Lofgren for taking the time to sit down with us, thank you both! Below is a full transcript of our interview with Nils, enjoy! Blog it All Night: First of all congratulations on a very successful year. You had the High Hopes tour with Bruce Springsteen, got inducted into the Rock and Roll Hall of Fame, and now you have your new box set coming out in just a few days. So my first question is your new box set spans over your 45 year career you say that almost some entire albums have made the cut while you picked through some also, what exactly goes into picking which songs get chosen for this box set? Nils: Well the main thing is I want to be able to listen to it straight through without lifting up the needle and skipping a track. You know it's all subjective, since I recorded it and I don't listen to my music that much. It was great, kind of fun job to go through decades of music and try to put something together than I can listen to and enjoy. You know based on the keys, the running orders, the feels just put it together that flowed nice that I can listen to and enjoy, which I never done of course and it just took a long, long time cause there's hundreds and hundreds of songs but it was a great stroll down memory lane and I kind of forgotten how much I'd done in the last 45 years because I'm always focused on the next chapter. Blog it All Night: You have nine discs total of music and you also have a DVD at the end of this box set, I noticed that the final track of the DVD is titled "Nils Lofgren: The Art of Adapting" what exactly goes on in that section of the DVD? Nils: Well basically of all things AARP approached me and they had a TV show called "my generation" where they approach people that have been around a while to see how they approach things and look at things now and I just turned 63 so I qualify, the guy who put the DVD together did a lot of work for them so they came out here and their crew filmed a lot of footage to put together a 7 or 8 minute piece about just you know adapting as you get older, there are injuries, you still stay young at heart and you still have all these great ideas as you're trying to learn and grow but you have to interface that with you know the wear and tear of 63 years in my case which I am doing and so that is how that piece came about and it was kind of, I thought very insightful and well done so we went to AARP and asked if we could have the rights to put it on the DVD and they said yes. Evan (Second Interviewer): I find that this is pretty cool man that you were saying that they approached you and you just turned 63 and you know overall your experience and stuff, you still think you have a full tank? Nils: Uh, yeah. I mean to me being alive with hope and ideas and creativity is a full tank. Look, I played street basketball for 40 years and destroyed my hips, I got two metal hips so I can't go to the you know, can't go to Rocksbury park in LA and play point guard anymore [laughs]. I mean I tore my rotator cuffs so I'm healing them back up to get out and do my own shows but at the same time there is I think a wisdom and an efficiency of doing my job, which is music, that comes from thousands of shows and many decades of experience that I bring to the table that I think make up for some physical handicaps or other stuff so I feel like you know, on one level I'm hoping to go out at the end of September I'm playing the Hard Rock in Las Vegas on September 26 and 28. October 3rd I'm at the Talking Stick in a casino in Scottsdale, October 4th I'm at the Fox Theater in Tuscon so my intent and my goal is to do the best shows of my life now you know I'm not gonna pull out the trampoline out of the closet and do a back flip [laughs]. I've been assured by my surgeon that I could do that and become a cripple for life but does that mean I won't have a full tank to do a great show? So you know, the answer is yes but with the obvious caveat that no I'm not the same physical specimen I was when I was 19 but I feel like I got a lot more wisdom and a lot more experience as a musician and a singer that I didn't have then, that I think will actually make me better at it now and I hope that continues. Evan: Absolutely man that's awesome. You looked great on the recent tour with Bruce and the band and so I just wanted to you know see your thoughts on that but I can definitely tell you still got it going man. Nils: Well for years I was hobbling around with these bone on bone hips and now they're titanium but they're working great so you know I'm not jumping off of PA stacks and drum risers, I can hop around and dance with no pain so it has kind of given me a new lease on life. While I was hurting you know I still played well and sang well, I just wasn't as mobile but there are so many elements that go into a performance and you gotta just mix them all together and for me it's my favorite thing to do, which is performing live with the band or myself and in front of an audience so I'm very engaged naturally in how to combine everything I've got and you know be careful and not do something stupid like you know have a couple double drinks and pull out the trampoline, do a flip and become a cripple and cancel the tour. So use common sense and you take from everything you have: physically, musically, emotionally, spiritually, and you know you are animated and excited about it and right now I'm putting together my first shows in three years with my buddy Greg Varlotta, the two of us will be playing in Vegas and the shows I mention so I'm excited to be putting that together and getting back to my own performing. Blog it All Night: Right, absolutely and on you're upcoming tour will it be you solo acoustic or will you have backing band? Nils: No it will just be the two of us (Greg Varlotta). It's me and a guy named Greg Varlotta. He's been with me, these are the shows I've been doing for the last 6 or 7 years. They are very colorful, there is electric, acoustic guitar there is a lot of jamming with pianos, synthesizers, tap dancing since Greg is a great tap dancer and actually taught me a little bit. He also plays trumpet on a song or two so I go from keyboards to guitar, mostly guitars but it is a very colorful, two hour plus show and you know my intent is to just get back to where we were and add some new songs from the unreleased songs on the box set and make it a little different. Blog it All Night: You said before that you were starting in Septemeber in Las Vegas and you are mainly staying out on the West coast, can fans on the East coast of yours to see any shows? Nils: Yeah but that will probably happen early in the year. I'm working on a run in England in January and still hoping to do that (Nils has since announced these dates). I've been gone for 26 months so I'm trying to also nurse some injuries I tore my rotator cuffs up a couple years ago so I'm trying to get them stronger and healthier to play and the number one priority since I've been missing in action for 26 months is to spend some time with my family, my dogs, help my wife Amy out and just participate in my life here. I'll probably put a one man show together this fall too so next year I can go to places with the duo and also go to more obscure places just by myself with a sound man and just start playing more. So until there is another E Street chapter, which is not on the books right now, it is pretty clear that I'll get back to writing songs and making another record and of course right in front of me will be promoting the box set and getting out and starting to play but you know slowly but surely right now I want to spend more time at home then away. Evan: Like you said it is a 170 tracks which I applaud you for I find that amazing that you have such a large collection of work like that and that's hard to accumulate but what's the best way you can sum up what something like this collection means to you personally? I realize how much time and effort really must have went into this, nine discs, to me that's amazing. Nils: Well you know looking back at it I realize that I was lucky to start in 1968 professionally and for a long time the music business was different then it is now, I mean most people now don't get a chance to have even two records that aren't hits you know, you might make a second record but if you're not making a lot of money you know, back then they would you develop as an artist or musician and if you didn't make money for the company and if they recognized you were doing good work they would invest in another record and that's kind of for me to have a story that runs almost five decades like that is very unusual but I look back on it and there's an honesty and a kind of a freshness and energy to all the music that comes from somebody whose created it like myself having freedom. And to have that kind of freedom and all these other people working with me and contributing for a run of 45 years is very unusual and pretty much doesn't happen anymore unless you have massive hit records and the companies have such a big business now that it's kind of disposable. You know if some act doesn't have a hit record after two albums, they are usually dropped and left to their own devices and they are looking for immediate success which sometimes doesn't always happen and I got blessed with starting in the era of the late 60's where you would have time to develop and work on your craft and play a lot and it's kind of a journey not a destination of hit record by the second record or you're out kind of vibe which is okay, companies can do what they want but that's pretty much why I left twenty years ago, I got on my last deal in the early 90's and just went my own way with websites thanks to the internet and technology. So now for the longest time I just make music I'm proud of and I share it through my website and sell it, there is a lot of free stuff there. There is a guitar school for beginners and intermediate and it's grassroots and the numbers might be smaller but I know and want to maintain my creative freedom all these decades which was kind of drilled into me at an early age, 17 even by Niel Youngand David Briggs who took me under their wing at an early age which was a great blessing. Evan: Didn't you also put out things on your own label as well? I believe it was, if I'm not mistaken, Cattle Track? Wasn't that your own record label? Nils: Well it started in the 90's when I got off of my last record deal. My ex-manager who I am not with anymore, we formed a label called Vision. It was just a label to put out my own music on that now has become Cattle Track Records. There is no other axe on it it's just mainly a record company, we live off of Cattle Track Road in a nice community here in old Arizona, so it's just a cool neighborhood of artists and people that champion artists and musicians and I'll continue to release records on Cattle Track Road Records, it's really just a vehicle for me to put out my own music. Blog it All Night: On disc seven you put an amazing version of "Wreck on the Highway" which is a Bruce song and it is very different that the original version that is on The River album, have you played around with that song at all or was it that it was the first thing that came to your mind and decided to record it? Nils: Well someone did approach me about a charity out of New Jersey where people were contributing Bruce tracks and that was always to me a beautiful haunting song that you know, never got played very often. Even before I was in the band when it came out on The River, I thought it was such a haunting beautiful song so when they approached me to do something, I've done "Man at the Top" acoustically for other charities so I wanted to do something to bring a little more electricity to it and do my own version of it but with the great haunting lyric of Bruce. I got some great local rhythm section Wade Matthews used to play a fretless base , which is very expressive and Tim Bury, one of my favorite drummers of all time, that have worked together a lot and we tracked it in Tim's basement studio and I did a lot of the overdubs in my house and just put together my own kind of haunting version of that beautiful song. 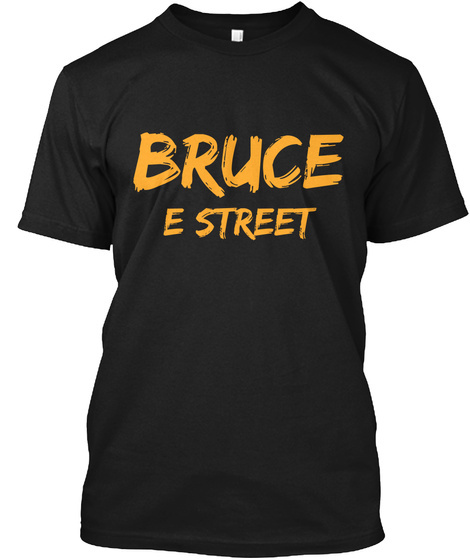 Blog it All Night: Have you recorded any other Bruce songs other than the two you mentioned that are not out officially? Nils: Well again there is an acoustic version of "Man at the Top" which is out officially on another charity record, I'm sorry that I don't know of it, but I did do that. In my own live shows I've done "Because the Night" which I made my own version of "Because the Night" with the different longer intro and of course my big solo at the end and that has been released on my DVD "Nils and Friends" which is a live DVD in Virginia so that came out years ago so that is another release. There is a free download of "If I Should Fall Behind" on my website which is my acoustic version of that song, I sing it a lot at my shows and this version was recorded for Willie Nelson's manager for his wedding. So that is a free download on my website that you can check out and live I've done some, a bottleneck version of "Seeds." That has never been officially released, so you know that's a handful of songs that I have done over the years and a few of them have actually appeared on those records that I mentioned. Evan: I love your annotation by the way of "Wreck on the Highway" it was really good and I've also seen the DVD of the way you do "Because the Night" on the Nils Lofgren and Friends DVD and that is something I just like to kick back and put on and give it a listen. I also read some of the thing that you do with "Seeds" of that bottleneck version, I gotta tell you I just want to compliment you sir on the fact that like you said, your hands they don't stop. They are incredible when you play on that strat. Nils: Well, I appreciate it. I love the guitar and picked it up as a hobby when I got a blues guitar when I was fourteen or fifteen after ten years of accordion studies so that was a great backdrop. Of course with classical music it is all the written note, you have to play it perfectly and the interoperation of it, the emotion of it has to come internally through the written notes so a couple years of blues guitar was just a hobby and for fun and it was really thanks to The Beatles, who turned me on to rock and roll and it was through them and The Rolling Stones I discovered mo-town and the old blues. I got to see Muddy Waters a couple times in Washington D.C. which is some pretty powerful stuff. I was sixteen, I think, I saw Jimmi Hendrix and The Who on the same night in two different venues in D.C. that kind of possessed me to try and be a professional musician which really was not a career in middle America in the 60's. We all loved them but didn't think we could do that for a living so at 17 I hit the road with my band Grin with a lot of ups and downs but mostly ups, 45 years later I certainly wouldn't have been this greedy to think I'd have a retrospective of almost five decades of music recordings and I'm here getting ready to get out and do my own shows and plan that again. I gotta a beautiful, Jersey girl, wife from West Orange, Amy and four dogs, my mom is still around and my three brothers and I don't think I would have been that greedy at 17 when I hit the road in 1968 so I'm very lucky. And my music has been out of print for decades so to have this retrospective to bring it all to light again and have it in one package that plays well and Billy Wolf mastered it beautifully and it all plays together, all five decades of it. I'm very proud of it and glad it is coming out next week. Blog it All Night: That's pretty incredible. Do you mind if we jump into some fan submitted questions that we have here for you? Blog it All Night: The first one here is from someone in Winnipeg, Canada and they wanted to know: what influence Neil Young had on your musical career and what was the most significant lesson you had learned from him? Nils: Well, certainly at 17 when I snuck backstage at Neil Young's show, he was kind enough to give me his guitar and let me sing some Grin songs for him. He then spent a couple days with me and I watched his shows. True to his word when he said look me up in LA and I did he was very kind and supportive and one of the big lessons which I continue to learn just from listening to Neil and his music we got to play recently at the MusiCares honoring Bruce Springsteen about a year ago and there is a DVD on it, I played the keyboard part on "Born in the U.S. A." as an alumni of Crazy Horse. But going back 45 years in 1968 when we met, I got out to LA and at 18 years of age he had me do the "After the Gold Rush" record, a big lesson for me and there's been many and continue to be just from the inspiration of his music. He asked me to play guitar and sing and do a little piano and I told him I was not a professional piano player and Neil Young and David Briggs (Young's manager) point out my history with classical accordion which was true and that I've won a contest, five state contest, and I said that was true. Well you're so good at accordion we just need some simple piano parts and we have confidence you will figure it out. And so that was a big lesson cause I was trying to say that I was not their guy and that I don't play piano professionally and they reminded me that it was just not about virtuosity and my ideas and my love of Neil's music, they thought I could cut it and have the musicianship to pick up the parts on the piano and make it work. That worked out and it was one of the most famous records I have played on which was a very powerful lesson at the age of 18 years of age. Blog it All Night: I'm absolutely sure that was one of your highlighting moments throughout your career. We don't want to hold you up too much longer so we will ask you one more final question. We have a fan here of yours and they wanted to know if you could talk about the technical aspects of the "Acoustic Live" album that came out in 1997. Nils: Well basically Ron Freeland, who was a dear friend and a fabulous who worked on many projects and sadly we just lost him last week. Ron Freeland passed away and it was a big loss but Ron was really the guy who made that record come together, he oversaw the recording of it, how to mic everything, the mixing of it and put together a great performance. Also, part of the theme of that record since it was going to be all live was I wrote some songs that were brand new and have never appeared anywhere else before that record "Some Must Dream" which you will see on the box set, which will make the light of day finally, a song called "Head to Your Heart" which is an obscure gem of mine and "Little on Up" which is a great song about having to raise a kid up by yourself, they were all new songs that appeared. It was intresting to have a batch of new songs in a live recording but the acoustic versions of all those songs with my brothers playing and having Ron Freeland just map it out and put it together to get it recorded, it just turned out so well and continues to be my best seller to this day and one of my favorite records. Blog it All Night: I am very sorry to hear about your recent loss that you just had. Nils: Yeah, we lost Ron last week, just terrible. But, that is what happens when you get older. Sad to see him go. Nils: Yeah, listen I love Philly it has been such a great town and I'm hoping to get back there early in the year to do a run in the North East with my own shows. Blog it All Night/Evan: That's great, we can't wait. Hope you stay healthy and enjoy your time with your family and wife and just keep going strong buddy. Nils: Yeah I will and again the record is out August 5th but we're about to ship pre-orders from my website which we have a special pin that my wife, Amy, made of the cover. Which is a nice little 2" pin that comes with it so if you want to get the box set you can get it through www.nilslofgren.com or at Amazon and I'm excited about it, thanks for spreaing the word, I appreciate it. Blog it All Night: Absolutely, we're all looking forward to it. Nils: Alright, all the best to you.